It has alcohol. Enough said. Ouzo salad dressing? What? Yes! Now you can enjoy Greece’s famous liqueur in your salad. I simply cannot eat a salad without some kind of dressing. Naked leaves are a turn off! A splash of olive oil. A touch of vinegar or lemon juice. A little seasoning. And just like that the magic happens. The classic salad dressing in my house growing up was the olive oil and lemon juice combo. If you added some Greek oregano (and yes there is a difference!) it would turn into “ladolemono”. This “ladolemono” was used to dress freshly barbecued meats and keep them flavoured before being served as part of a feast. Of course over the years I’ve learnt a thing or two about salad dressings and have added my own spin on things. And I can proudly say I’ve never resorted to the bottled stuff sold at supermarkets. Take for example today’s offering. It’s a salad dressing made with the addition of ouzo and fresh herbs. Some people may balk at the idea of using Greece’s famous liqueur in a dressing but it really adds a nice punch and that slight hint of aniseed give sit a nice “zing”. It’s basically olive oil, lemon juice, fresh herbs and a few tablespoons of ouzo. Shake it up in a on old jam jar and pour liberally. 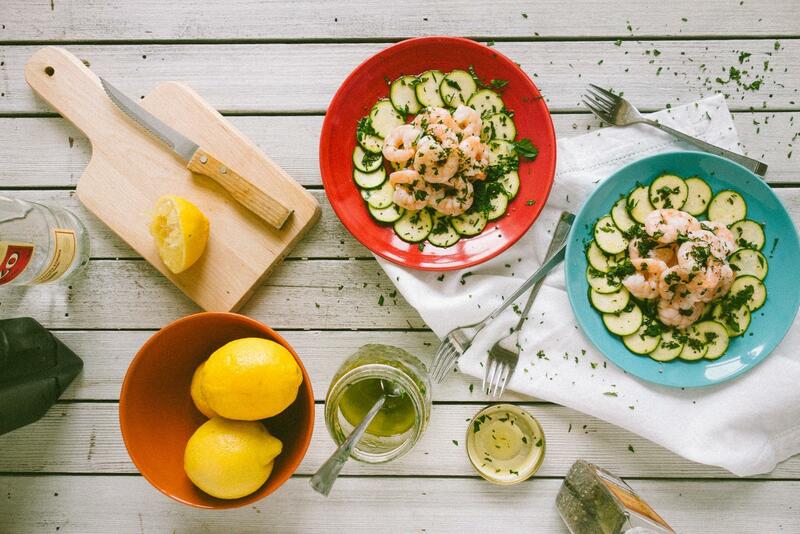 This ouzo salad dressing works beautifully with seafood and I have used it in a zucchini “carpaccio” with the addition of blanched prawns. Serve it up with some toasted bread and before you know it you’ll be saying “opa!” like a true Greek! For the ouzo salad dressing combine all the ingredients in a jar and shake well to combine. To construct the salad arrange the thinly sliced zucchini in a circular pattern around the outside part of the plate. Pour a few tablespoons of the dressing over the zucchini and allow it to sit for 10-15 mins. 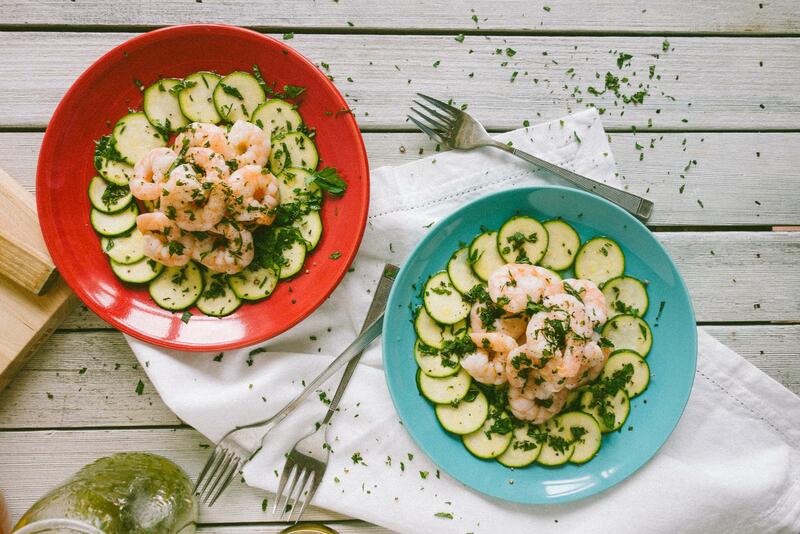 Arrange half of the prawns in the centre of the plate, add more of the ouzo dressing and serve immediately with crusty bread. If you prefer a stronger anise flavour adjust the dressing by adding more ouzo. It’s best to taste as you go along.